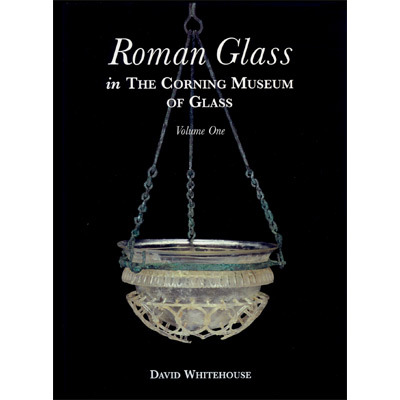 The three books in this set present more than 860 objects from one of the world's most comprehensive collections of Roman glass. The catalog entries are arranged by technique. Every object is illustrated, in most cases by a color photograph and a line drawing that shows the profile. Each volume also includes concordances and an extensive bibliography. Volume One discusses objects formed by casting or pressing, "color-band" vessels made by casting and blowing, cameo glass, undecorated objects formed by blowing, blown pieces with picked-up or blobbed decoration, and objects with cut, engraved, and wheel-abraded decoration. This volume includes more than 500 color illustrations and drawings. Volume One: 381 pages; hardcover. Measures approx. 12.25 inches H. x 9.25 inches W.
Published in 1997 by The Corning Museum of Glass.